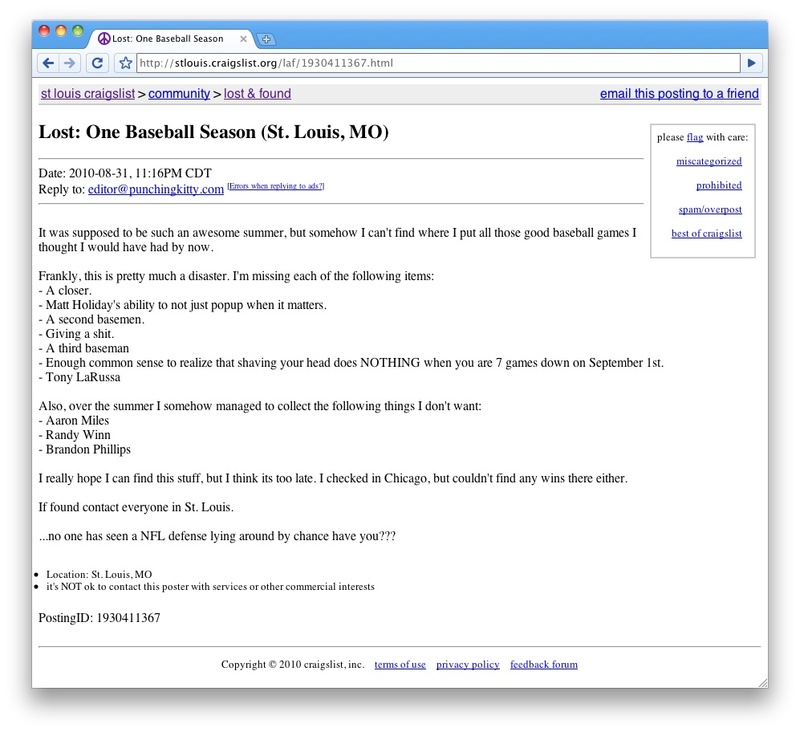 Craigslist: Anyone Seen the Cardinals Team We Had In April? We had this really great baseball team in April and now we can’t find it, so we took to Craigslist to see if we can track it down. Any help locating it would be greatly appreciated.